Carol: Come on Maya! We got to catch up! 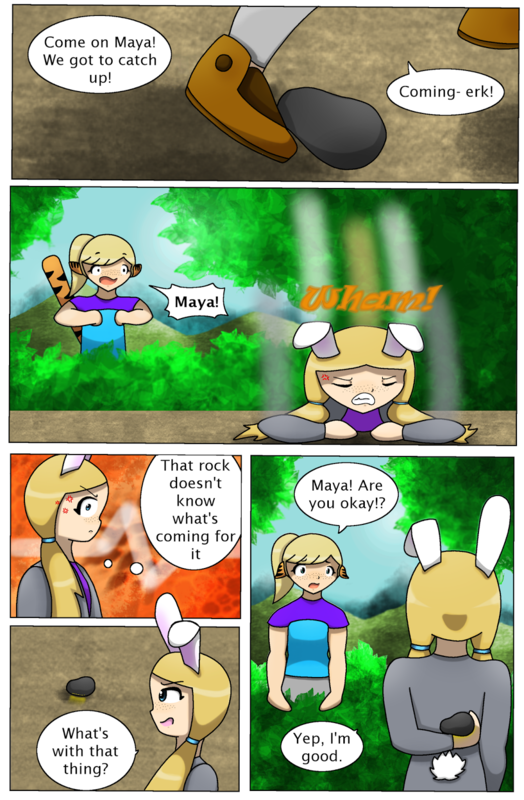 Maya: That rock doesn't know what's coming for it. Maya: What's with that thing? Carol: Maya! Are you okay!? The classic behind the back technique, works every time.